A friend recently said to me, “I just hate it when someone I don’t know calls me ‘dear’! It feels so demeaning.” A salesperson had addressed her with a sweet term that is so often reserved for those of a certain age. At a time when we are more acutely aware of the importance of showing respect for others regardless of gender or race, it seems only appropriate to have a conversation about the role of language and aging, too. Why does it matter? It matters because the words we use convey who we are and how we see others. And like it or not, we are all guilty of looking at others through a lens of “otherness,” whether defined by age, occupation, or belief system. Respectful language implies that we all are worthy of the same consideration. So, what words push your hot button? Is it sexist or ageist (or both) to address anyone—no matter what age—as “honey,” “sweetie,” or “dear”? When asked what bugs them about getting older, some of my workshop participants inevitably report experiencing ageist language. Writer Sally Abrahms suggests that “elderspeak,” the use of intimate endearments by strangers or otherwise addressing older people in a patronizing way, is one form of negative age stereotyping. In an era when we are beginning to be more comfortable about our own aging journey—taking charge of whether to retire or not and making transitional life choices—it can be disheartening to find that others continue defining us in a way we consider disrespectful. On the flip side, we define others by our own choice of words and attitudes. If it bothers me to be called “dear” because I somehow feel that means being more vulnerable or frail, I wonder how a 30-year-old feels about being addressed as “honey”? Does it suggest a lack of ability? We own the words we use. Let’s have a dialogue about respectful language and commit to taking action. Refrain from using demeaning or patronizing language. Help others understand our sensitivity to certain language. Think about how our own words affect others. And finally, be willing to provide feedback, even to our friends, when there is a lack of respect. 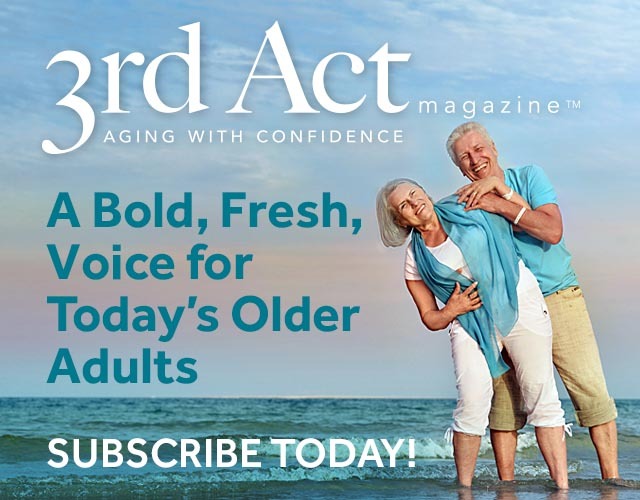 Linda Henry writes regularly on topics related to aging, health care, and communication and is the co-author of several books, including Transformational Eldercare from the Inside Out: Strengths-Based Strategies for Caring. She conducts workshops nationally on aging and creating caring work environments. Her volunteer emphasis is age-friendly communities.